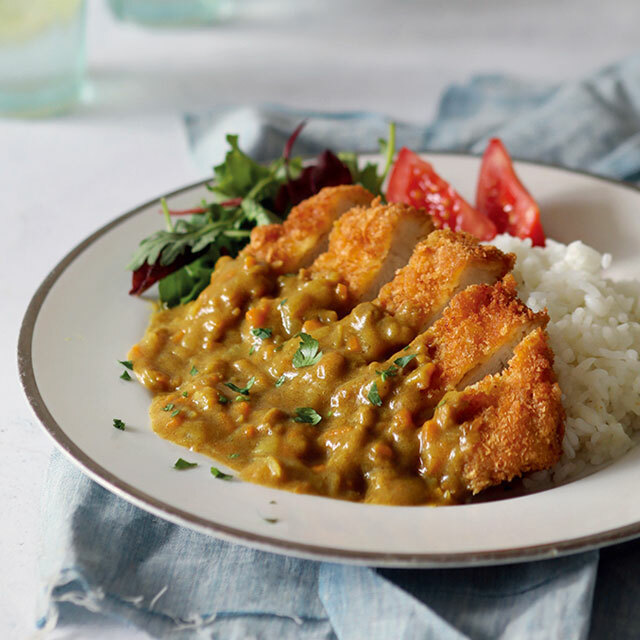 The combination of silky, aromatic sauce and the crunch of breaded meat is what makes katsu curry such a long-standing favourite among home-cooked dishes in Japan. Curry sauce was first introduced from India via Europe, but it was the invention of curry roux that made it possible for the average household cook to make curry, leading the Japanese to truly embrace the dish. 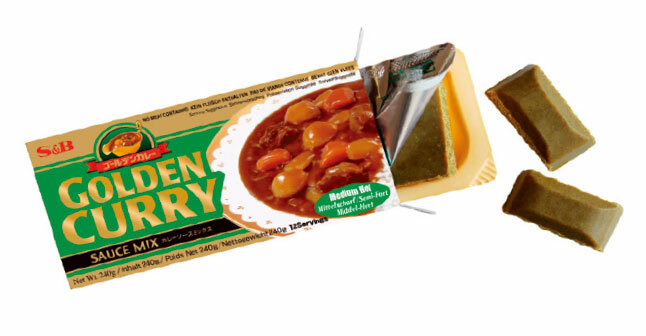 S&B was at the forefront of the curry roux revolution, leading the way with its Golden Curry Sauce Mix, which then, as today, is made proudly in Japan. S&B Curry Sauce Mix has a transformative effect on dishes, imparting the rich aroma of the careful blend of spices and herbs in S&B original curry powder. Heat 1 tbsp of oil in a large saucepan, fry the onion and carrot over a medium heat until softened. Add the water, bring to the boil, reduce the heat and simmer for 10 mins. Remove from the heat then add the curry sauce mix, in pieces, stir until completely melted. Simmer gently for another 5 mins, stirring constantly. Season both sides of the pork loin or chicken breasts. Lightly coat with flour, dip in beaten egg and then coat with breadcrumbs. Heat the remaining oil in a large heavy-based saucepan to 170°C / 340°F. Deep fry the meat for 3-4 mins each side until golden and cooked through. Drain on kitchen paper. Slice the meat, drizzle with curry sauce, and serve with cooked rice. S&B Golden Curry Sauce Mix tastes great with almost any vegetable or meat, with classic choices including onions, carrots, potatoes, beef, pork, and chicken. It works equally well with noodles, rice, or flatbreads, added to casseroles, or used to give oomph to a pie filling. Bring the bang back to your sausage and mash by serving it with a simple curry sauce: melt butter, sauté chopped onion, add water, simmer for 5 mins, then add a curry cube and simmer for 5 mins to thicken. Refer to S&B packaging for further details. S&B Golden Curry Sauce Mix comes in three levels of spiciness: Mild, Medium Hot and Hot and is available in 100g and 240g packs. The range also includes pre-cooked sauce with vegetables, sold in retort pouches. Another S&B favourite is wasabi including Wasabi Paste, the authentic taste of real wasabi in a handy tube, and beginner-friendly Wasabi Sauce. Available at some major supermarkets or Japanese/Oriental grocery stores.